In her grievance form submitted to then-Nanjing mayor Ma Chaojun during the War of Resistance Against Japanese Aggression (1937-45), the 80-year-old widow recalled how Japanese soldiers cleaved her granddaughter’s skull with a bayonet and killed four other family members. 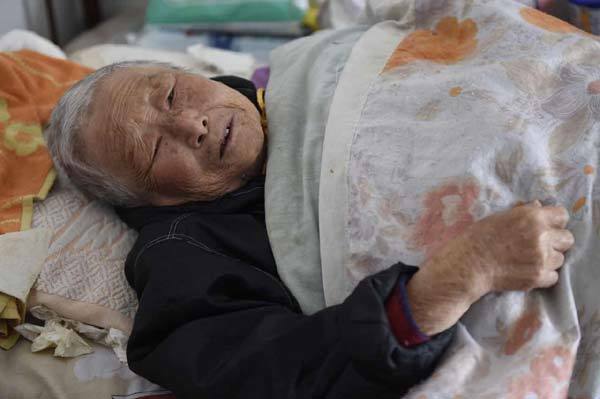 “After the Japanese soldiers broke into our house in the name of searching for Chinese soldiers, they accused my son Guodong of being a soldier and asked for money and property,” the widow wrote. She also recorded that Japanese soldiers murdered nine members of a neighboring family. The Nanjing Archives Bureau recently released 100 grievance forms that Chinese civilians had submitted to the then-Chinese government from 1938 to 1946 about the atrocities of the Japanese army, the massacre casualties and the property damage. The forms are posted on the bureau’s official website, social media site Sina Weibo, and in local newspapers. According to Wang Han, deputy director of the bureau, the forms record various atrocities that the Japanese army inflicted on Chinese civilians. “The bureau now houses more than 1,000 grievance forms, which were adopted as evidence by the International Military Tribunal for the Far East and become a vital part of the international war crime investigation system,” Wang said. On Dec. 13, 1937, Japanese troops captured Nanjing. In the following six weeks, they killed more than 300,000 Chinese civilians and unarmed soldiers. On Saturday, China will hold its first national memorial day to mark the massacre. A 91-year-old survivor of the massacre, Ren Wenying, asked her son to write down what she said and send it to a local newspaper to let her story be known. “I was 14 in 1937. My mom cut my hair and put some ash under the pot on my face,” said the woman, who has bladder cancer and has been paralyzed for several years. “We ran to a refugee camp near Xinjiekou, which we later knew was run by a U.S. citizen Miss Vantrin,” Ren said, referring to Minnie Vantrin, a preacher. “Even in here (the Nanjing Safety Zone), I often saw Japanese soldiers take away young men and women, which frightened us. All we could do was pray. “Once the Japanese soldiers filled two trucks with young women. Miss Vantrin went forward and wanted them to stop. The Japanese soldiers slapped her face twice and took the two truckloads of young women away.